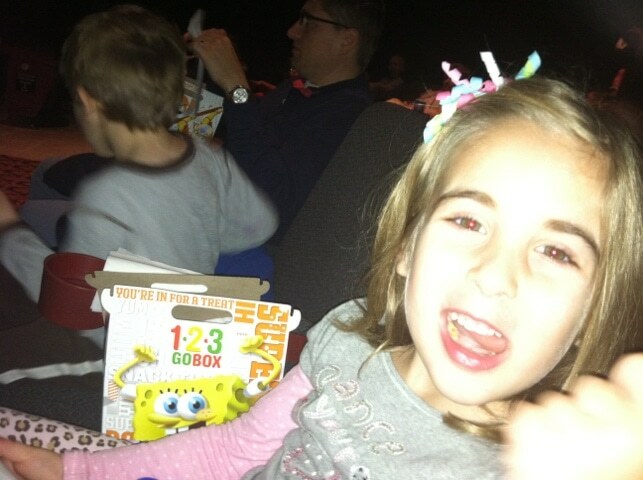 Over the weekend, my family was invited to a screening for ‘The Muppets‘ movie. I am a child of the 80s. I used to watch ‘The Muppets’ show every week with my mom. It was something I literally looked forward to – my FAVORITE SHOW. I even had a Kermit the Frog puppet (which I didn’t remember until this weekend while I was watching the movie. had a flashback of some sort). Anyway, I was SUPER excited to see the new Muppets movie. It’s 2011 and Miss Piggy is still on the big screen. I LOVE IT! The kids didn’t really know much about The Muppets. My advice for parents hoping to take their kids to see the movie – expose them a bit to the gang. They will appreciate the movie MUCH more if they know a little about the characters. Anyway, the premise of the movie is simple – an oil tycoon has the rights to buy The Muppets studio and will claim ownership to the Muppets name UNLESS the gang raises $10 million. How can they raise such money? By putting on a show of course! The movie is great for adults and for kids. There are also a few guest appearances from stars like Selena Gomez, Jack Black and Neil Patrick Harris. I wish there were a few more scenes of Miss Piggy… but she did get to karate chop someone which made me smile! 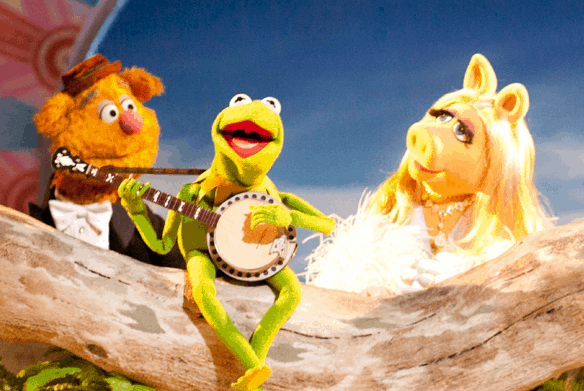 Are you planning on seeing The Muppets? Previous Post: « I’m Taking The American Express @ShopSmall Holiday Shopping Challenge: Enter To Win $250!